My parents took my brothers and me to the Wisconsin Dells when we were children and the Dells made quite an impression in our minds even then. My husband, grandmother and I once again visited the Wisconsin Dells in 1973 and it was his first visit to that scenic part of Wisconsin. 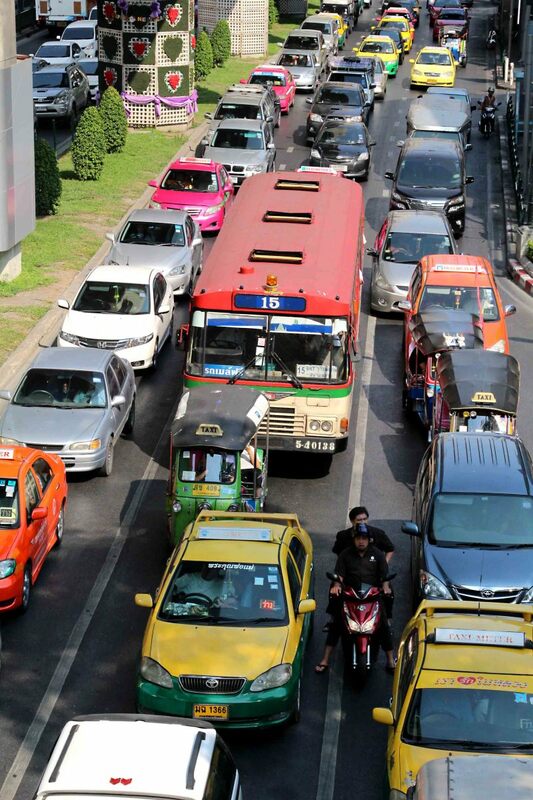 It has now become a huge playground and draws visitors from not only around the State but elsewhere as well. Many amenities have been added since the early days as several of the videos at the bottom of this post will show. But the lure of this part of the country goes back to the times of past ages when glacial ice scoured this part of the country leaving behind hills, countless lakes, rivers and rock formations. 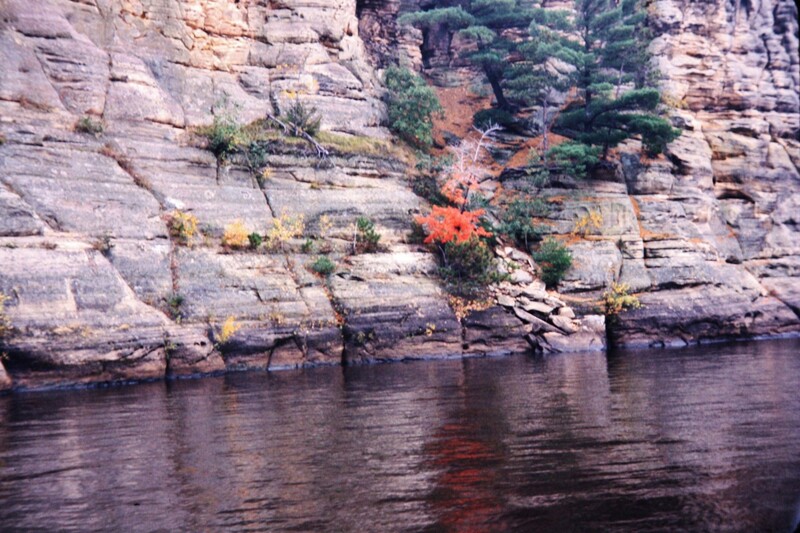 The Wisconsin River winding its way through beautifully sandstone sculpted rocks capped off with plants and trees of various kinds was the original lure to tourists visiting this area by land and by boat. 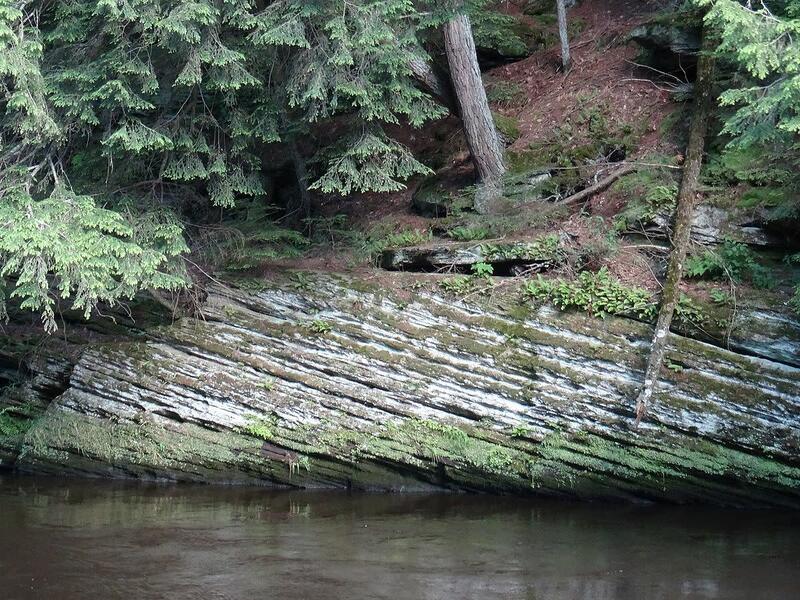 The Wisconsin River has its origins up by the Wisconsin and Michigan border. It winds primarily in a southwest direction emptying into the Mississippi River near Prairie du Chien, Wisconsin. 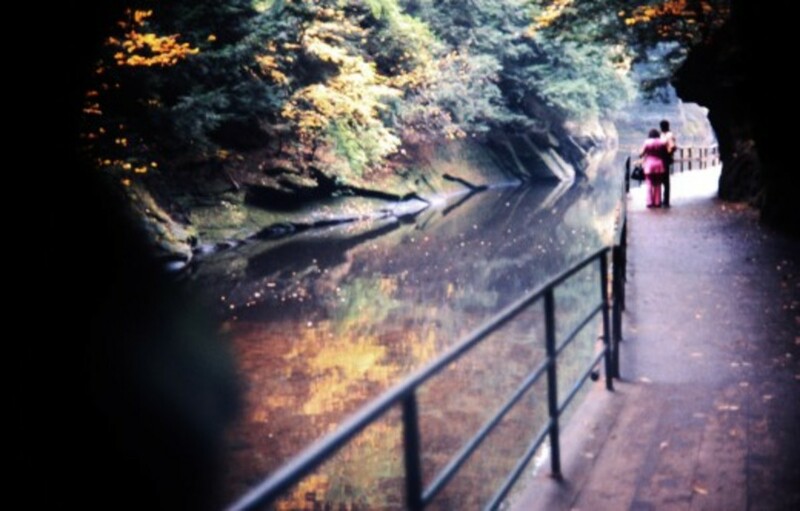 The river is distinctively dark in color. The reason for this is that the otherwise clear water is tinged an amber color by the roots of tamarack trees growing in swampy areas further north. Many dams along the river provide hydroelectric power and one in the Dells area divides the Upper Dells from the Lower Dells. 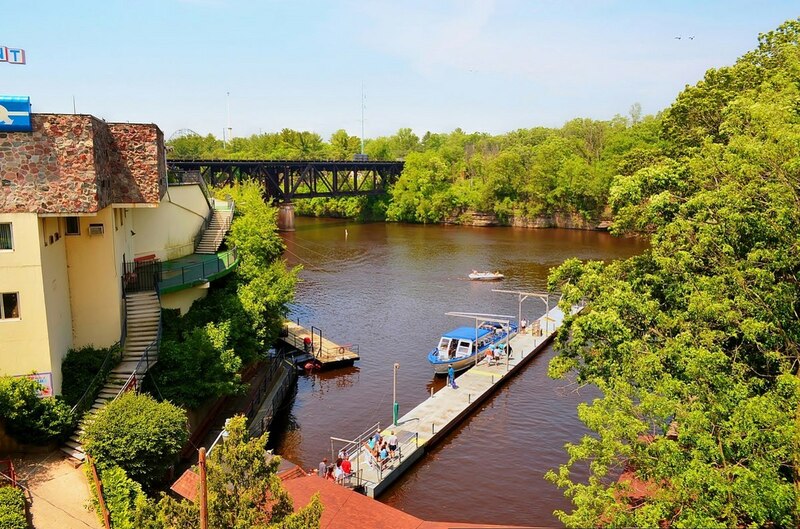 It is on the Lower Dells that numerous boats transport visitors to view the landscape both from the water and also to points where tourists disembark and do some walking to see the sights on land. 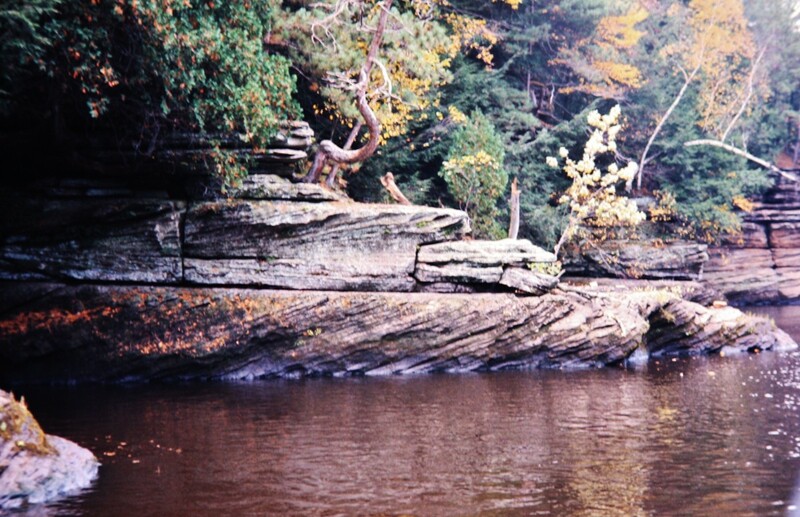 The Upper Dells boat trips showcase more of the scenery and the boats wind around some freestanding rocks in the water while the boat captains tell passengers much about the history of this area. Other modes of transportation in which seats can be acquired for a price are on Ducks (old World War II transports) that take seated visitors on both land and water excursions if one chooses that option of viewing the Dells. In addition one can view these waters and scenery by canoe, kayak, motorized boats, paddle wheeler boats or even the exhilarating jet boat rides. 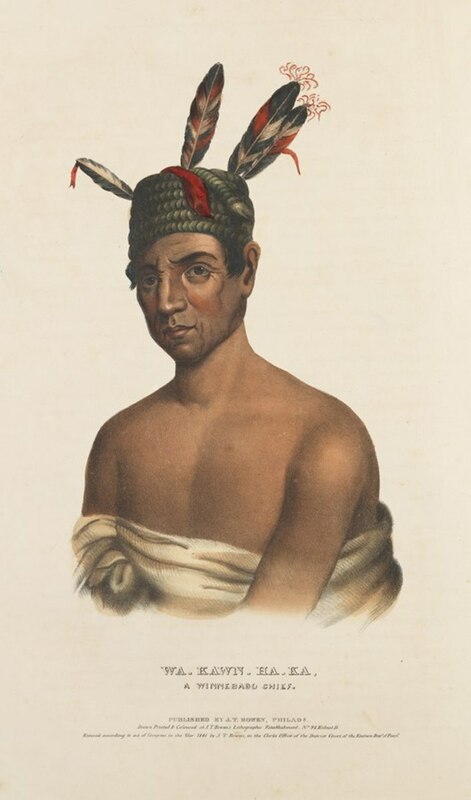 Many Winnebago Indians seem to have settled in the Wisconsin Dells area and used the Wisconsin River for not only a source of water but of transport. Indian tribes such as the Menominee, Chippewas, Dakotas and others would have also used the river for trading purposes throughout the years. The Winnegagos grew corn, beans and squash but relied heavily upon fishing and hunting for sustenance. They were also reputed to be fierce warriors. Evidence of arrowheads and other artifacts like bits of Indian pottery and hunting implements have been found in this area and are now displayed for visitors to see. Burial mounds are also located in this general locale. 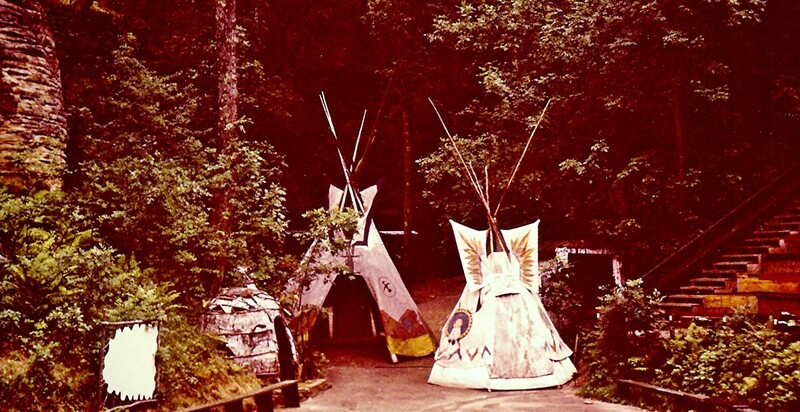 The Indian Ceremonial where costumed American Indians can be viewed chanting and dancing is an integral part of what visitors to the Wisconsin Dells have encountered from the time when the Dells area first started luring tourists to this enchanting spot. This American Indian presence was another draw for tourists to the Wisconsin Dells in addition to the spectacular scenery. This made quite an impression on me and my brothers when we were kids seeing this for the first time. The feathered headdresses of the Indian Chiefs were most impressive to us! Playing Cowboys and Indians was a regular pastime back then for kids of my generation. Naturally there is much in the way of Indian jewelry and other handicrafts which can be purchased by tourists to take home and wear or use for décor. From the early days to the last time we visited the Wisconsin Dells, the stores had become more commercialized offering many things that could be found anywhere as so often happens with unique places when they become "discovered" and more popular. Some of this is good and some is bad depending upon one's perspective. What remains despite the growth of the area and myriad of newer amenities like the indoor and outdoor water parks, golf courses, resorts, etc., is the sheer beauty of the river and environs as well as the part played by Native Americans through the ages. While this area was discovered by the white man back in the sixteen hundreds, it was not until the early eighteen hundreds that white men started homesteading and trading in furs and engaging in lumbering which accounted for a greater degree of settlement in the Wisconsin Dells and surrounding territory of Wisconsin. 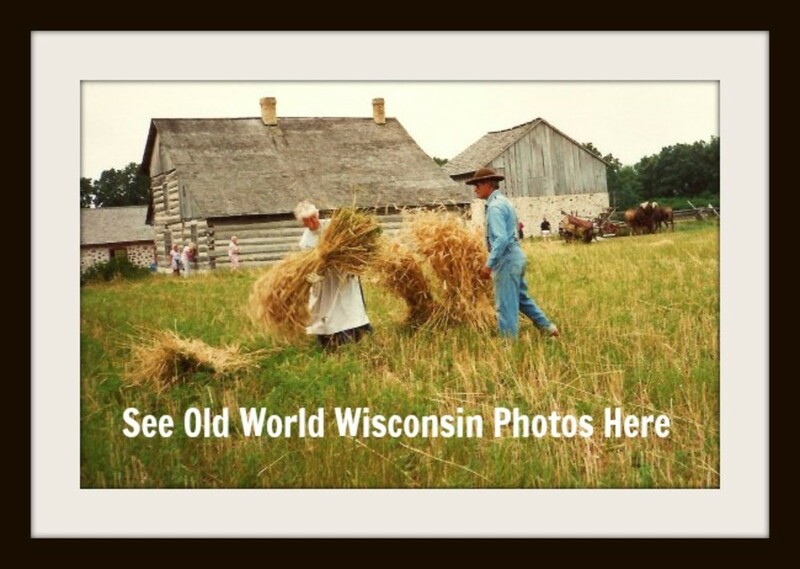 The Wisconsin River made the transfer of goods easier so that farmers, saloon keepers, hotel owners and others could have easier access to needed supplies just as the Indians had used it for transport and trading purposes in the centuries prior. Wisconsin attained the status of becoming the 30th State in the United States of America in 1848 and many of the names given counties and towns and even lakes all come from Indian names. Some of the county and town names are identical. The town where I grew up as a child was Oconomowoc in the county of Waukesha. How's that for a tongue twister! The tale I remember being told about the meaning of Oconomowoc as a child was this: An old Indian had been walking for days and finally became exhausted. He sat down and said "I can no more walk." This became Oconomowoc. Whether this tale is truth or fiction, it made for a good story! 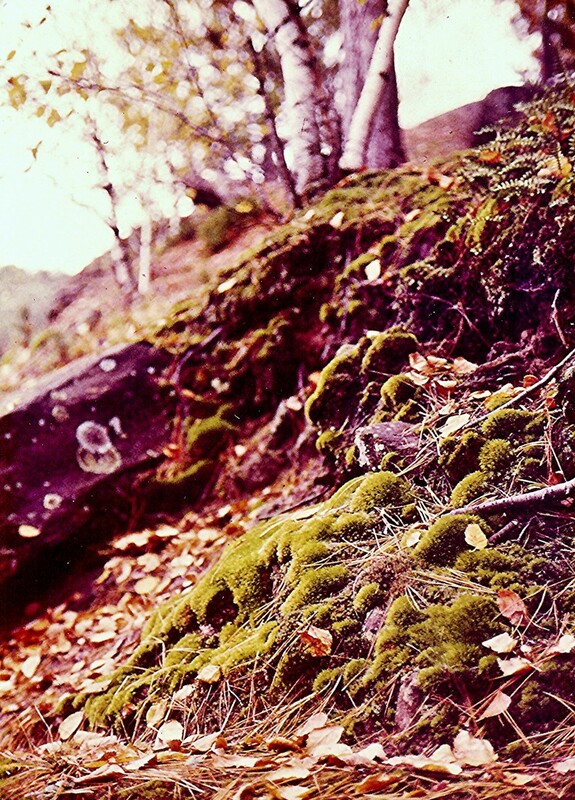 At one point of the trip one disembarks and walks through glorious wooded and rocky areas graced with ferns, mosses and the wonders of glorious nature. Sometimes one is also walking along the water and the reflections of things mirrored in the water can be spectacular especially in the Fall of the year when the leaves of trees and shrubs are splashed with colors of reds and yellows. Witches Gulch where one walks at times through narrow canyon walls is one of the two shore landings if taking this Upper Dells boat trip. At Stand Rock (an outcropping of rock appropriately named) one is entertained by a German Shepherd dog who jumps from one rocky promontory over an abyss of five feet to Stand Rock and back. This show always draws "oohs and aahs" from the crowd standing below and gazing up at the performance. I seriously doubt that the sure footed dog ever misses his landing, but if he ever did there is a safety net below which would help to ensure his safety. Apparently people used to make this jump many years ago! 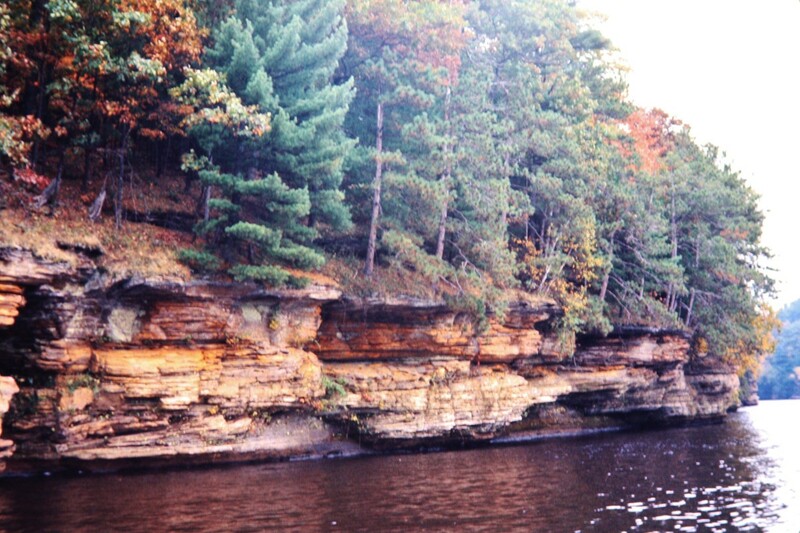 This is the other place where one gets to do a little walking on the Upper Dells boat trip. Black Hawk was a great Indian Chief who spent some time in this area. One of the rocks on this Dells boat trip is said to look somewhat like his profile. Can you see it in the photo below? 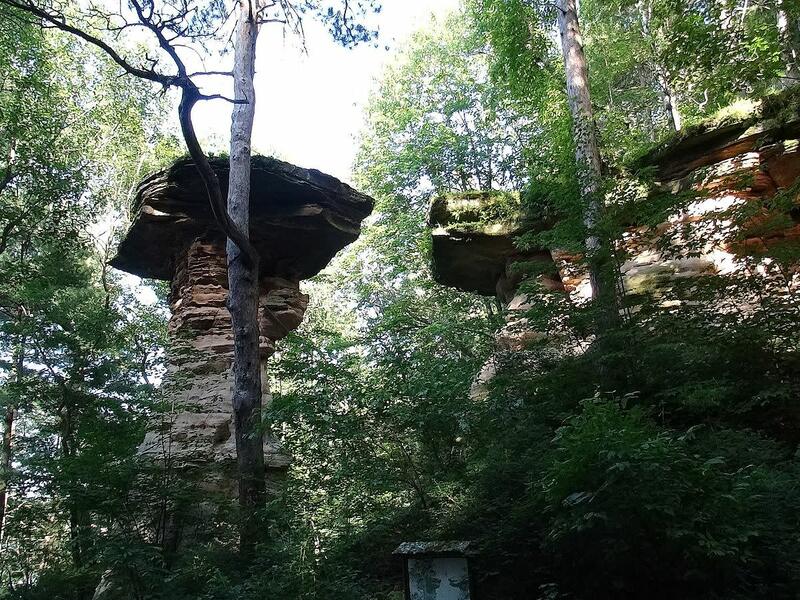 If one is touring the Wisconsin Dells during the time of the year when the migratory cliff swallows are building their mud dwellings on the undersides of the many cliffs and feeding their offspring, one will see a flurry of activity. They are congenial birds and gather in large numbers and when the season signals change, suddenly they are gone. We have enjoyed our visits to the Wisconsin Dells and now with the other attractions, it has become a year round resort area. The sheer beauty of the natural surroundings in this part of Wisconsin would be my main reason for returning to the Wisconsin Dells. Of course people living in Wisconsin probably like some of the indoor activities of the Dells in the cold and blustery winters. Both are good reasons to enjoy the Wisconsin Dells in all seasons of the year. 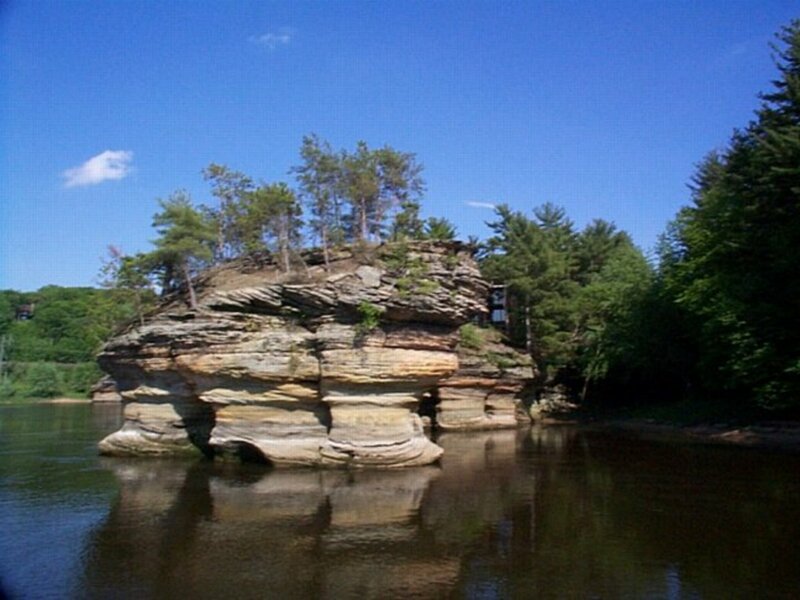 Have you been or would you consider a trip to see the Wisconsin Dells? I have already visited this scenic area. Yes I would like to see this area in person someday. I prefer other types of vacations. The Wisconsin Dells have changed radically since you would have seen it as a child and even since I last saw it in the 1970's. The river will always remain the same but the attractions which have been built since then make it a true year round destination for fun and vacations. Amazing! Yes...it is hot and steamy down here also. I can't imagine people needing sweaters and jackets when the temps are in the 80's. It would have to be a whole lot cooler for me to want to reach for them! Hope you stay cool during the Texas summer temperatures also. Thank heavens for AC! I still remember riding on the duck boats in the Dells when I was 7. It seemed like a hot day at the time, but now, living in Texas, I know the difference. With the horrid hot days of Texas upon us and likely to get hotter, now would be a great time for people to visit up north and spend a day at Wisconsin Dells. Hope you're taking it easy and staying cool! I have fond memories of visiting the Wisconsin Dells. 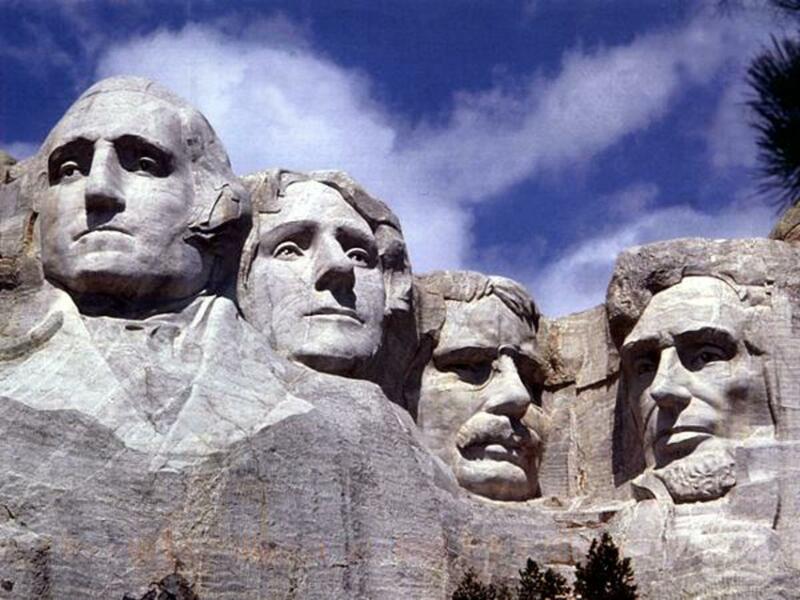 It is a natural attraction with lots of man made ones which make it fun for everyone! Thanks for the shares. This is the perfect time of year to visit the Dells. Not much time left before school starts again. Pinned this to my 'Travel' board again, this time using the photo of Stand Rock. Also sharing with followers and on FB. So glad you liked seeing the beauty of the Wisconsin Dells. Thanks for your comment. Nice that you have those memories of visiting the Wisconsin Dells with your parents. Seeing the dog jump across those rocks was scary enough. 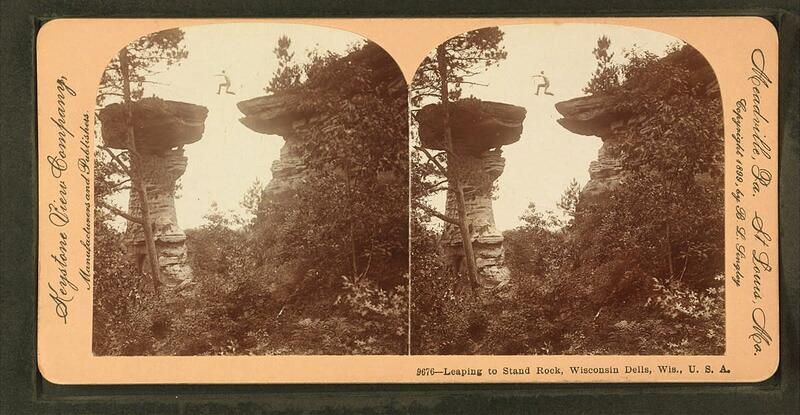 The people who jumped at Stand Rock must have been real dare devils! Thanks for the shares! Am sure your brother has some nice memories of working at the Dells that summer. Must have been a thrill for you to sit near the captain of the boat. Whether the Indian shows are still operational or not, it is the sheer beauty of the place that will continue to attract visitors...plus the added amenities. Thanks! Hi Peggy! I am really left spell-bounded by the scenic beauty of this nature assisted by its pristine culture. This is an awesome hub with some terrific photos. 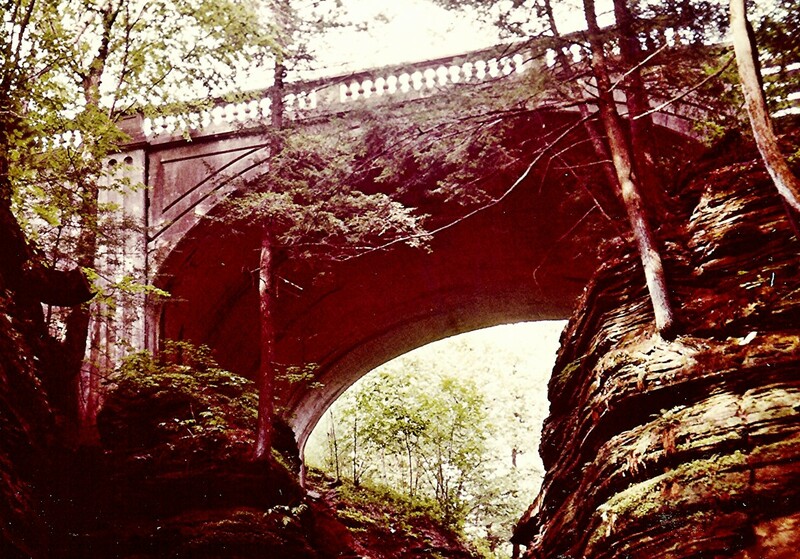 I remember visiting the Dells with my late parents in 1978. 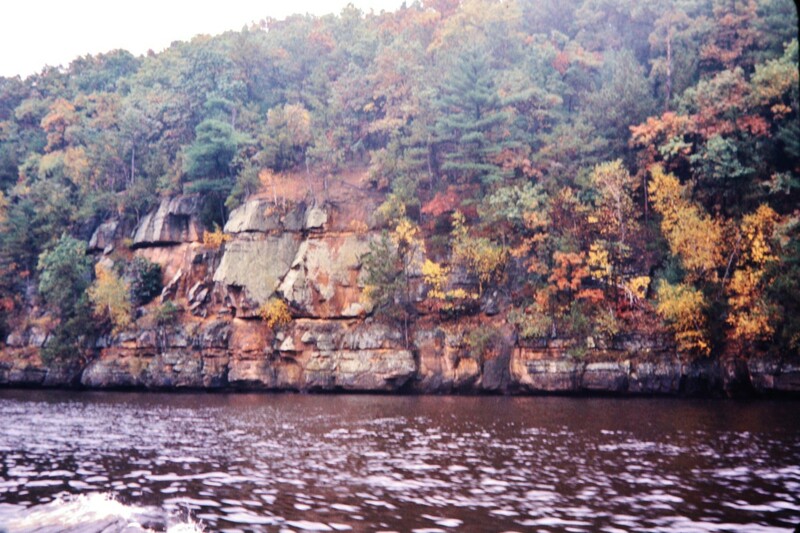 We took a boat ride on the Upper Dells and I vividly remember seeing Stand Rock. At that time people were jumping across the rocks with a safety net below. Voted up and sharing with followers and on Facebook. Also Pinning and Tweeting. My brother worked in the Dells one summer to save money for college. We visited him there (we just lived a couple of hours away) and we took a ride on one of the famous Duck Boats. I got to sit next to the captain -- I was only 7. I think I read recently that the Indian Shows are no longer. You might want to check into that. 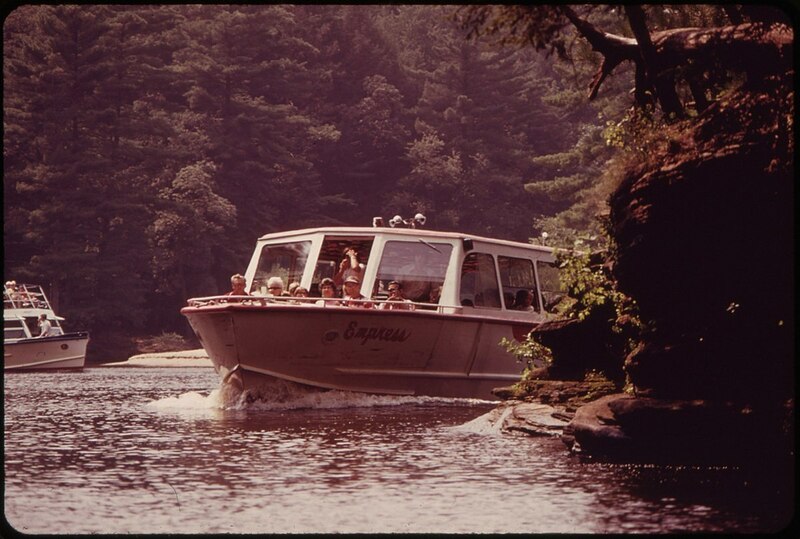 You have great photos as always, and lots of good information about things to see and do, and those duck boat rides on the Wisconsin River are a definite must do. Voted up, useful, interesting, beautiful, and sill share. Already pinned to my 'Travel' board and gave you another 5 stars. Wisconsin and its Dells were on my vacation list because I knew nothing about them. As usual, your hub makes me one to pay a visit. Voting this Up and Interesting. Hi Peggy, my niece has lived in Appleton for several years now. She had all three of her young sons there. I think my sis lives just a mile or so away...but believe its in the same town? She (my sister, husband and youngest daughter) just moved back there to be by her grandsons this past October. : ) Looks and sounds like a pretty place and one I may just one day visit! Nice that you have a younger sister and also a niece that live in Wisconsin. 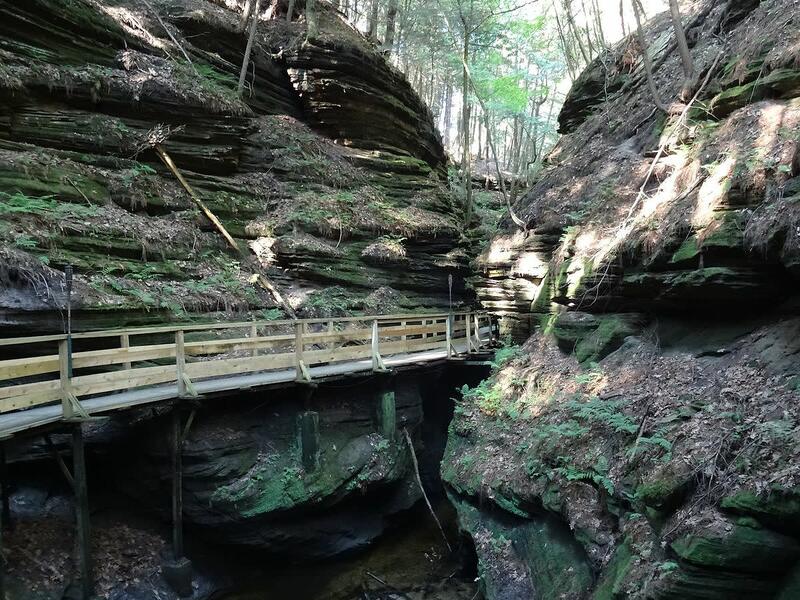 You will have extra reasons to visit that pretty state and perhaps have a bit of extra time to visit scenic areas like the Wisconsin Dells. In what part or parts of the state do they live? Thanks for your comment and votes. Nice hub! Interesting site with great photos and video. I have a niece who lives in WI now and a younger sister. Looks like a great place to visit. Thanks for sharing it with us. : ) Voted up and interesting. The dogs are definitely trained to jump between the rocks in the Wisconsin Dells. It is far enough apart that it would certainly scare me! The tourists look up at them while it is being done. Appreciate your comment. Thanks for your vote and 5 star rating. Peggy beautiful pictures. The dog jumping on the rock, is he trained to do it or the rocks are so close that any dog can do it. Voting it up and rated 5 . 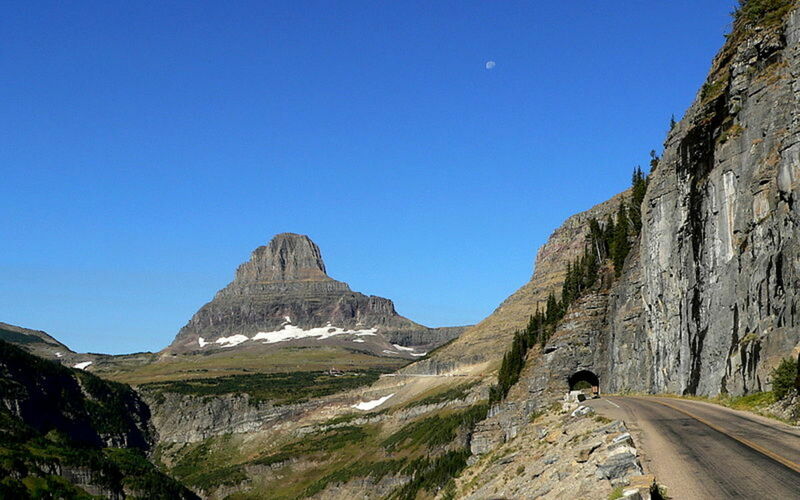 The Mid-West has all kinds of attractions as well as natural beauty. Glad that this hub about the Wisconsin Dells drew your attention to just one of those scenic places worth visiting. Thanks for your comment. I loved this blog. I had never heard of the Wisconsin Dells until now and your blog has me itching to go. It does seem to have something for everybody, from the amusement park to the boat rides. Thank you for sharing that video of the Dell boat ride. The scenery and foliage are beautiful. 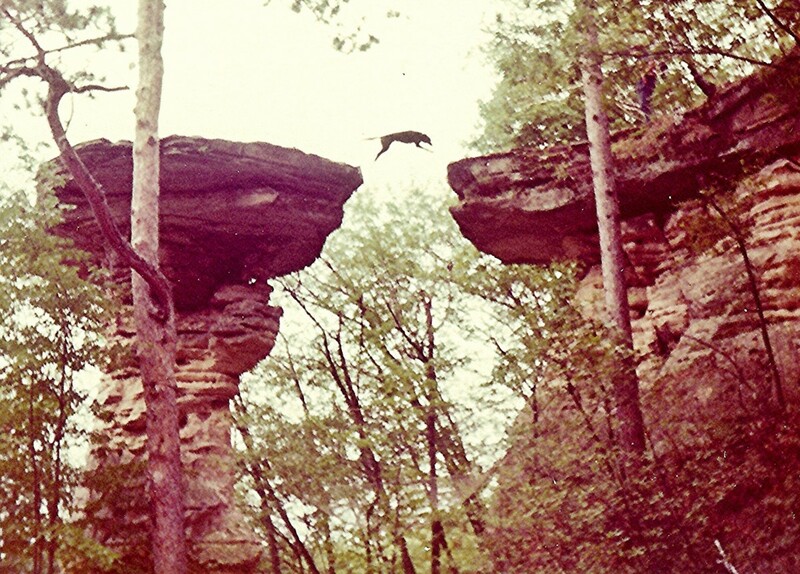 I also enjoyed seeing the German Shepherd jump over the cliff. It's good to know that he has a safety net available just in case he misses that jump. :-O I have never vacationed in the mid-west, having believed that there is not much to do there but you proved me wrong. Again, thanks for sharing. You have the knack of breathing life into your hubs and I look forward to enjoying many more by you. I have to vote up up and away. Sounds like you have fun at the Wisconsin Dells and surrounding area. Wisconsin is such a gorgeous state! Where I grew up as a child...the Okauchee / Oconomowoc area, it was still pretty much country. The last time I visited up there (we still had relatives in those places plus Milwaukee and Madison) and the urban sprawl had definitely taken place! Thanks for your comment. Lovely Peggy, we usually make a Dells trip once a year, we go to Devil's lake 3 or 4 times a year (less commercial, more natural) you make a great case for this wonderful place. It's all about fun and exploration. The area has gotten pretty campy over the years, more chinze less unique items as you mention. Where I go swimming on the Wisconsin River the river is near the headwaters and though surrounded by tamaracks, it's still pretty clear far up north Eagle River way. So I see you were born in Waukesha county! That place sure has changed, it is the definition of urban sprawl a veritable mini-mall paradise I'm afraid. Thanks for great images, I love the picture of the Winnebago. It sounds as though you and your family had a great time at the Wisconsin Dells. They have added so much since the last time that I was there. Thanks for your comment. My kids enjoyed the "Duck Boats" when we visited the Dells 2 years ago. We also enjoyed mini golf at Pirate's Cove & the pizza at Moose Jaw Pizza where the delivery cars parked out front are VW Bugs with giant moose statues on top. Great photos - thanks for bringing it all back. The natural beauty of the Wisconsin Dells is what I really like. Obviously the town has been more commercialized over the years, but Mother Nature is still there in all her glory. :)) Thanks for your comment. Wow, you've done a wonderful job ont his hub. It really does make me want to go there and see it all. I never did think that I would want to-- but now I do! I agree that summer time (for those of us living in the South) would be a better time to visit the Wisconsin Dells. For those cold hardy folks who live up there and now with the inside attractions, it is a year round resort. Thanks for the visit. 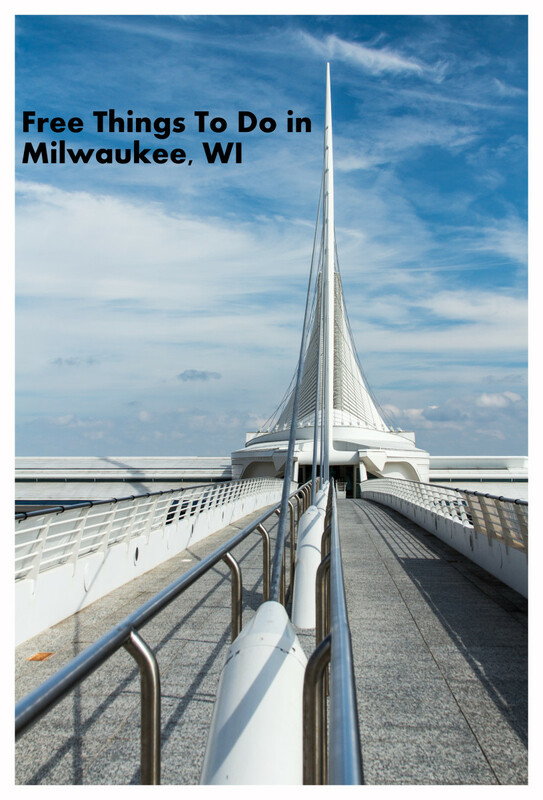 I have never been to Wisconsin and here is a great reason to go there - in summer! Glad that I could introduce you to the Wisconsin Dells via this hub. What a scenic view of dells, which I had never heard of before your hub. Nice that you liked the pictures of the Wisconsin Dells and thanks for your comment. Great article Peggy. Love the pictures. The Wisconsin Dells are amazing. It is an amazing place and very good details in your article. So glad that I could introduce the Wisconsin Dells to you and that you liked it. Thanks for your comment and votes. 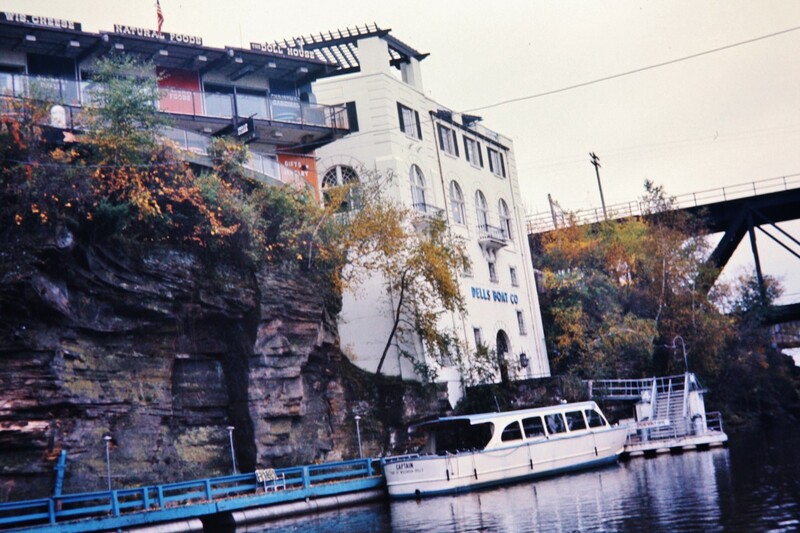 These are old pictures of the Wisconsin Dells most of which were recently converted from slides. Glad you liked them. Thanks for your comment. Wow...wow...wow. I love Wisconsin Dells. Peggy, you had never cease to amaze me with your talent. This place so beautiful. I wish I could visit Wisconsin Dells one day. Thank you very much for writing and share with us. I love all stunning pictures here. VOTE UP and UP! I agree with you that Wisconsin can be cold in the winter. Those living along Lake Michigan have more moderate temperatures (called "lake effect") than those in the central part of the state. When we lived in Wisconsin Rapids for 4 years just walking out to the mailbox the moisture in my eyes would start to freeze blurring my vision when it was cold. The year we moved up there (in January) it was 80 degrees when we left Houston and when we arrived in Wisconsin Rapids it was 20 below zero...real temperatures...not wind chill. A 100 degree spread in a few days of driving! Brrr! So they now have casinos in the Wisconsin Dells? Things have certainly changed since our last visit! Funny you put this hub on today. I was just talking with a friend about Black Hawk today. My great-great-grandfather fought in the Black Hawk war so that's what we were discussing. When we were there my husband's favorite thing was to get up early head to the casino for a little gambling. All of Wisconsin is beautiful but very very cold. I know...it is impossible to visit all the great places in the world. Nice to know that you enjoyed this Internet visit to the Wisconsin Dells. Thanks for your comment. I love your travel hubs, Peggy! The description, photos and videos in this hub are a wonderful way to explore the Wisconsin Dells, especially since I may never get to visit the area in person. Thanks for a very enjoyable hub. 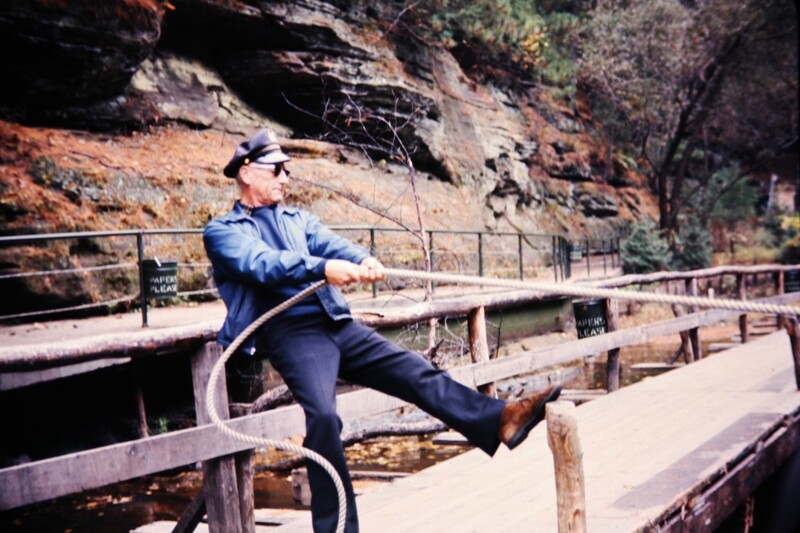 I spent my childhood in Wisconsin and the Wisconsin Dells always had an allure as being an interesting place to visit. It is beautiful scenery as you can tell from the photos and videos. Glad that you enjoyed hearing about it and thanks for your comment. Glad to be of help. Ask questions anytime. I certainly asked many when I first began writing on HubPages. Glad that I could introduce you to the Wisconsin Dells via this hub. Hope you get to see it in person someday. Thanks for taking the time to leave a comment. The natural beauty of the Wisconsin Dells is what I really like. I can't comment on all of the additions like the waterparks because all of that has been added since we visited. Perhaps you will get to see it someday and let me know what you think of it. Thanks for your comment. In the winter there is undoubtedly snow covered banks at the Wisconsin Dells but we did not visit at that time of year. As to adding youtube videos...put in a search for youtube followed by your chosen subject matter and then watch the ones offered. If you decide you like one and wish to use it, capture the URL at the top by copying and then in your hub add the video portion to your hub. Click edit and paste the URL of the video you wish to have. Make certain that it works when saved and voila! You are ready to have one in your hub. Let me know if this works for you. Sometimes wading through all the ones available takes some time...but worth it in the end as it can add so much to the hub. Wow, that is so beautiful! I have never been to Wisconsin, but if I am ever in that area of the country, I am definitely checking out the Wisconsin Dells. I really enjoyed this journey with you, Peg. I grew up not too far from the Wisconsin Dells but I have never been there. I'll have to make that trek before my time is through. Hope your wish comes true and that you will be visiting the Wisconsin Dells someday in person. Glad that you liked these photos. Thanks for your comment. The waterparks did not exist when we were visiting the Wisconsin Dells. It was more just about the nature back then. Guess they bring in more tourists by offering those other amenities. Nice to know that you got to see more of the natural setting on your horseback ride. That would be fun! Thanks for your comment. Awesome hub and great pictures. I'd love to go there! Thanks, Peggy W! Hi Peggy. I've been there and I think I have the same dog-jumping photograph. The actual dells are sort of beautiful, but all the waterparks I could do without. We also did some horseback riding along a canyon and that was really nice. Interesting place. Wisconsin truly is a beautiful state. Hope you get to see it as well as the Wisconsin Dells someday on a vacation trip. I have fond memories of living up there as a child and for 4 years with my husband when he had a job assignment up there. Thanks for your comment. Another great and exciting hub. Your photos and videos of Wisconsin Dells shows lots of excitement, fun and natural beauty. 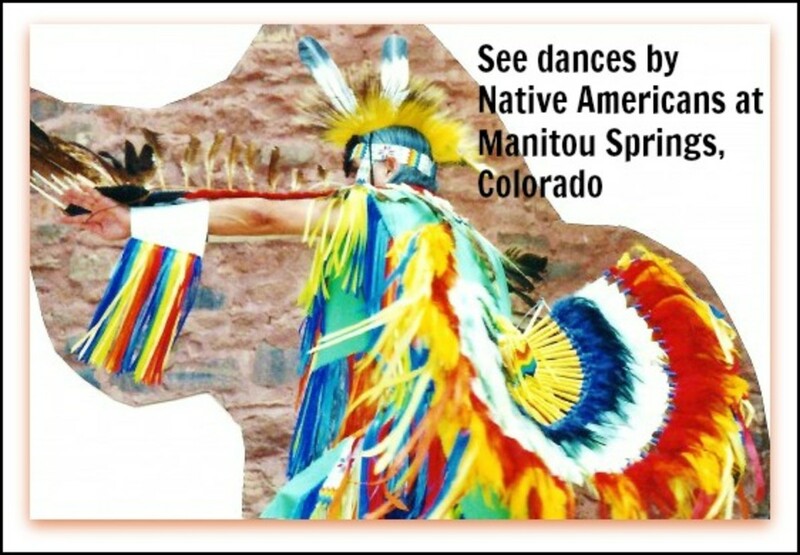 Great information on the Indian Tribes. I will add Wisconsin Dells on my vacation tour list. Informative and beautiful hub. Hope you and Charlotte enjoy it. They have expanded the amenities BIG TIME since the days when we were visiting it. Of course the natural beauty of the river and scenery is the same. Thanks for your comment. another winner, Peggy! I've long wanted to visit the Dells and in spite of living nearby never seemed to find the time. I hope to make up for that oversight after seeing this hub. Wisconsin does have loads of natural beauty. 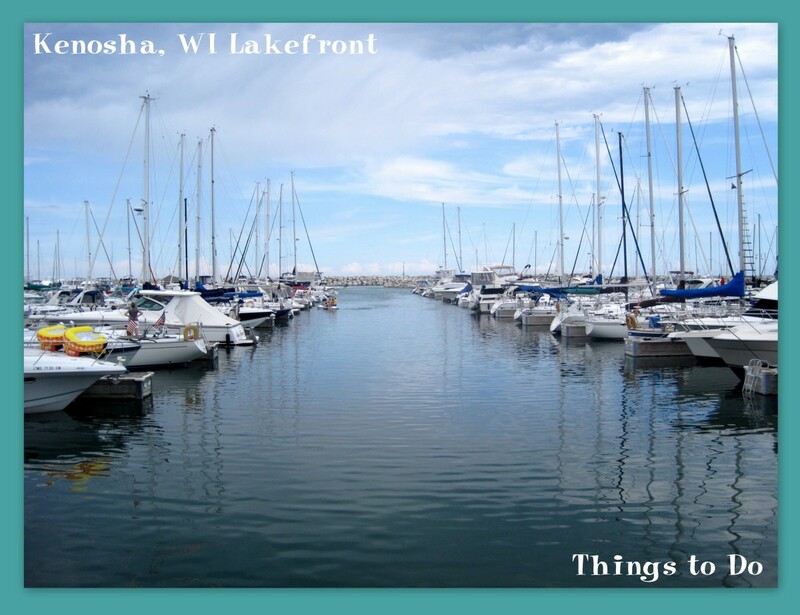 Lakes, rolling hillsides, forested areas, farmland and of course one side bordered by Lake Michigan. Hope you get to visit there someday. Thanks for your comment. I saw the reference to Ho-Chunk somewhere but I grew up knowing the name Winnebago. That name certainly lives on in the names of places in Wisconsin. Glad that you liked this hub about the Dells. Would be fun taking a Duck tour sometime. One thing nice about it...the Wisconsin Dells will remain where they are and will be readied for viewing when you are! :)) You have a good reason for returning to that area of the country since you have friends living in Madison. Thanks for your comment. Very nice hub about the Dells. We took a tour on the "ducks' a couple of years ago. It was fun but chilly.The Winnebago Indians I've found prefer to be called Ho-Chunk and have a casino near Black River Falls.Beautiful pictures. pictures. Your photographs are spectacular, Peggy! I would love to visit this area on our next visit to see our friends in Madison. Now I'm so sorry we passed up the Wisconsin Dells on previous visits! This was a beautiful and informative hub. Voted up!